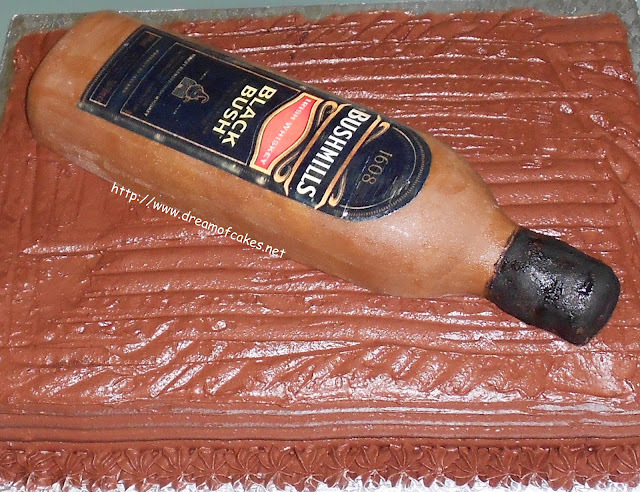 Bushmills Whiskey Cake made with fondant, for my cousin Marios who celebrated his birthday on the 31st of December 2011!! 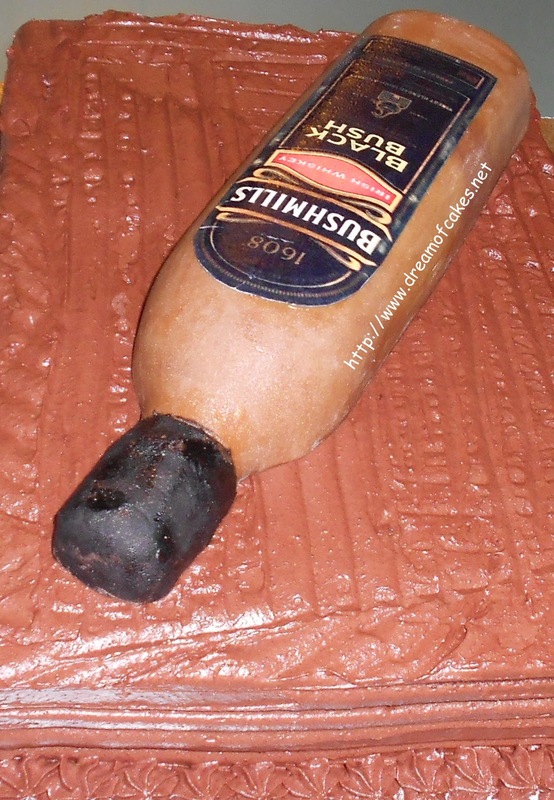 The base was a chocolate fudge cake, covered with bitter double chocolate cream. Wow, that is so cool! Great job! At first I thought the botle was real, just from the freezer! Don't tell me you fashioned this out of fondant - this is awesome! !What perfect craftsmanship,dear Efty.Left me absolutely spellbound!! Wow - the bottle and label look perfect! The coolest thing about this is that the bottle on top looks frosty like it has been chilling-Mario must like his whiskey on the rocks! Very creative and I am sure just as delicious. Well done! So clever and gorgeous!! That bottle is really amazing. A great cake for those Irish whiskey fans! Did you stick the label on the play-play bottle? I'm still wondering if the bottle is real. Haha. You are good!